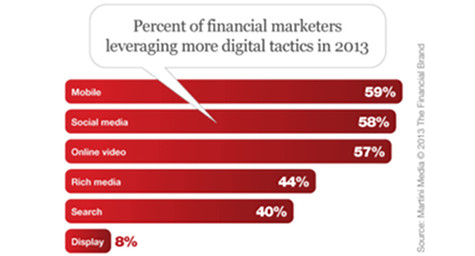 Now that banks and credit unions can no longer deny the power of digital advertising platforms, they plan to allocate 40 percent of their budgets toward digital marketing efforts in 2013. This is just one of the key findings of recent research by Martini Media, which also discovered that the majority of financial brands intended to increase their investments in one or more of the digital channels that are currently part of their digital marketing strategies. The FinancialBrand.com shared more results from the research to reveal where bank and credit union marketing executives planned to direct their digital dollars. “The results of our research clearly show that financial brands understand how their customers consume media,” said Tom O’Regan, president and CRO of Martini Media. Of the digital marketing channels being leveraged by banks and credit unions in 2013, almost 60 percent of marketers planned to use mobile, social media, and online video. In addition, 44 percent intended to use rich media and 40 percent expected to choose search, yet only eight percent planned to pursue display. This revealed a sharp shift in digital spending towards more media-rich and interactively engaging digital media vehicles. Mobile channels were clearly favored in bank and credit union marketing strategies, considering the explosion in mobile usage and mobile device development. The challenge now for financial marketers is to create impactful digital experiences, since both the smaller-sized screen and that the nature of financial content haven’t traditionally been short, snappy, and stimulating. 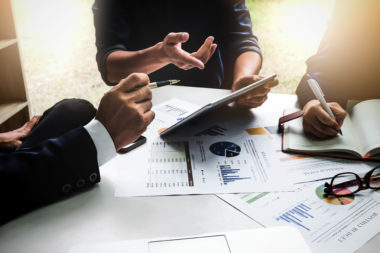 According to the research, a strong reason that banks and credit unions were moving toward digital marketing channels is because they’ve started to see a decline in both audience engagement and returns from more traditional advertising formats. In fact, a full 67 percent of financial marketers said they believed that digital marketing has become more efficient, which would enable them to target their markets at a lower cost. Along with higher marketing efficiency, respondents also felt that digital delivered greater effectiveness in its ability to help brands reach their target customers. A whopping 91 percent said that digital data and targeting technology could help them better reach their ideal audience, while 88 percent felt that aggregating niche sites could also enhance their reach. 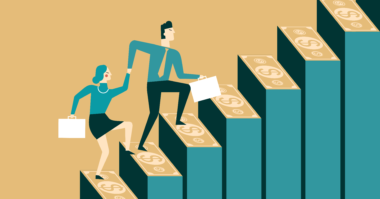 In addition, 87 percent believed it was worthwhile to pay premium CPMs on certain sites to be assured of connecting with their target audience. Finally, the research showed that bank and credit union marketing professionals realize the importance of content. An impressive 91 percent currently use some type of content in their digital ads, with 68 percent using only their own original work, and 23 percent opting to incorporate third-party content. Digital has finally made its mark on bank and credit union marketing. Now, financial brands must figure out the best channels and content to choose as they embark on their unique digital marketing directions. To learn how digital advertising can improve your credit union marketing success, contact MDG Advertising. Check out MDG’s latest digital marketing campaign for IBM Southeast Employees’ Federal Credit Union. MDG Advertising, a full-service, creative advertising agency with offices in Boca Raton and New York, NY, is a top credit union marketing company whose clients include IBM Southeast Employees’ Federal Credit Union and Lafayette Federal Credit Union. Our 360° integrated approach uses just the right mix of traditional and digital marketing to reach your advertising goals. While some industries may fare better in print and others online, we strive to create a balanced approach, where traditional and digital marketing efforts support each other and your message is tailored to the medium. To learn more about the latest trends in credit union marketing and advertising, contact MDG Advertising. Read more at the FinancialBrand.